Name Santa Claus' Baby Christmas Elves! Name The Baby Christmas Elves! Do you remember what happened last Christmas Day at the North Pole? Twelve baby Christmas elves were born! After all, all Christmas elves are born on Christmas Day! You did know about the baby Christmas elves, right? Would you like to hear more news about them? Well, everyone at the North Pole has been enjoying the babies. They are a lot of work though! Can you imagine having twelve babies?! I know everyone wants to see pictures of the baby elves. But, I should tell you something. You should never take a picture of an elf. They do not like it. It freezes them! So I`ll have to see if there is some way for everyone to see the baby elves that does not freeze them. Peppermint Sparkles (she is the Mommy) LOVES all the names you have given us! There are so many great names from which to choose. She did not see a single name she did not like! The baby elves loved the names too. Peppermint Sparkles would read the names to her babies. It was funny the way the baby elves reacted. One of the baby elves would hear a name and get really excited. The baby would laugh and giggle and roll and toot! That is how Peppermint Sparkles knew a baby elf liked a name. So that would become the baby`s name! Then I told them the story of how Georgie Gingerbread and Blizzard got their names. I told them how all the boys and girls voted for their names. The two babies started to laugh and giggle and roll and toot! That is how they let us know that they wanted YOU to vote for their names. Would you like to do that? You can vote as many times as you like (but just once a day please). You can pick a boy name and a girl name. After the voting is over, I will tell you the names of ALL the baby elves. santa how are you magic? let me just ask you that? Also, I am very excited for Christmas! Can I name the baby elfs pleases id like to call the girls: Miley Moo, Jingles and Holly-bells. The boys could be called: Ronny-ribbon, Buddy Jr and Woody. I hope they are being good little elfs. I heard about the baby elf hear are some names! I would love to vote. I think you should name one of them Peppermint. I think you should name the baby girl elf Sparkles. which is your favorite reindeer? I think you should name a girl elf JingleBella and a boy elf TickleToes. I think you should name the girl elf Little Green and the boy elf Little Red.I hope you got everything you want this Christmas. Lots of love to everyone at the North Pole.From Anya Alband. For a boy Frosty of nog would be really good. I love eggnog. For a girl elf I will pick Twinkle Glitter, like Tinker Bell.She would be my best friend. Thank you for letting me help to pick out your elves names. We would never take a picture of a elf cause it will freeze. Selfie Elfie would be a good name for the most beautiful elf.We hope you like our names for the elf’s.No one will ever be sad as long as they believe in . No one is ever too old for christmas.or to old to believe in you.When you are you should always belivein you. We would like 2 girl baby elfs PLEASE!!! dear santa for a girl baby elf name would be Jessica I like that one. for a boy I like Zach. have a wonderful Christmas. from Khloe. The name for the boy Cocoa, and the name for the girl Snowflake. I think these names would be cute. I think you should call them holly , jingle ,ribbon , hope, cherry, charity, snow or snowy hope you like the names! someone please tell me how to vote!!! I did not now renders can fly with not fling. Snowflake for a girl and Christmas for a boy. i want it to be named merry belle and the boy alfie. I vote for Jingles Jr. for boy And Merry Belle for girl! dear santa i want a elf next year i want the girls name to be olivia and the boys name to be jingles jr. I love baby’s and I think that buddy gumdrop is cute name! Do you? I think the girl should be called amazen and the boy Santa Jr. I think that you should name the girl elf cocoa cuddles. Santa Claus, i think the names are perfect i like Twitterbug. how about bloom brownie for the girl? how about tony buddy for the boy? Dear Santa this is me Alicia.I think u should name the boy Jingles Jr. for the girl I think u should name her Cocca Cuddles.See u soon Alicia. p.s is an elf age of 99 still young! Hey I love all the names, especially merry belle. Was that it? Merry Christmas!!! Jingles Jr. for the boy baby elf please and Cocoa Cuddles for the baby girl elf please. Thank you. I love all the names they were very CUTE! How bout lily and Jingle jr? We think those name are fantastic ! The baby elves sound very very cute !how old are they now santa ? Tell there parents congragulations as we never new about them ! We hope you are all okay at the north pole . i bet there all a handfull . i think that is funny and i love santa and all the eleves for making my toys this year again thank you very much! 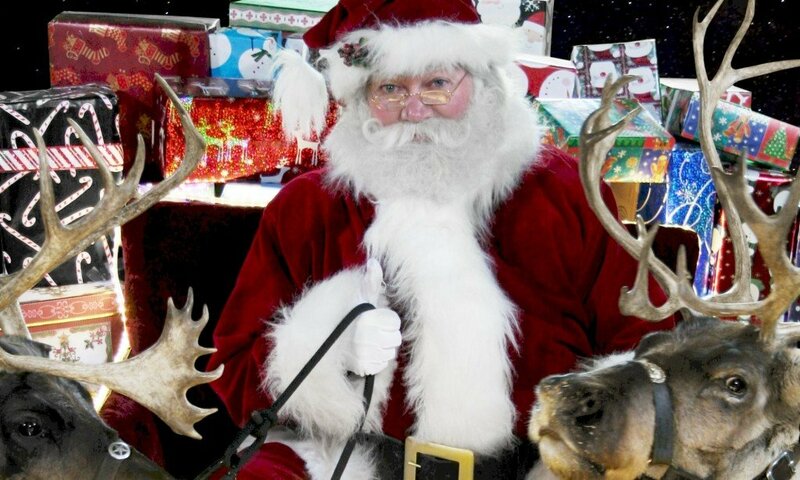 santa clause, your are awsome and so are the elves and reindee, and of corse, Mrs. clause!!!! I never knew that there are baby elves! the north pole is full of magical things! I wish I could visit the north pole, it sounds great! Hi Santa I’m so excited for Christmas! P.S: Do any elves go on your sleigh with you? P.P.S: Can you wake me up this year and give me a photo of your self for me to keep because I love you! hey santa its max i will be very happy if i get the things i asked for. tell all the elves i think they r awesome and merry christmas. Dear Santa,I love all the names and hope that the young elves will learn to make toys someday.I can’t wait till Christmas Eve and then you can meet my elf.Her name is Jingle.She even wrote back to a letter I sent her! ummmm well i think uhhhh sprinkle cream for the girl and i really dont know for the boy!!! sorry!! heywe love all the names but dont know how to choose <3 <3 i bet the baby elves are soooooo cute!!!!!!!!!!!!!!!!!!!!!!!!! Hi! I loved all the names you could vote for! Unfortunitely I was too late to vote but I hope the elves love their names! Thanks for reading this! Bye! P.s. Do you like my name? good votes these are ilove everyone at the northpole. It might be hard being an elf. Give this note to Miranda.Hi Miranda how are you doing.I want to be an elf for one day.Can you vist me every year in Dec. I miss you a lot.Baby elf names are cute. I have 2 names: Luna and Sugar. I think CocaCuddles for the girl and Buddy Gumdrops for the boy elf! 262 SLEEPS TO GO, TO CHRISTMAS 2011! will one of the magic elves come to my house tonight. you sould look up Effie thats my elfs name! I like Cola Cuddles and Jingles Jr I love cookies just like you but I wish I could be you from Romany. Buddy Gumdrops and Merry Belle are good names. Yeah I would love to be one of your elves one day! I have good elf names too! Frosty-Lake, GlitterDust, smooshy-love, stawberry, Peach-Cream, Mistletoe, Sweetberry, Bella, Twirly-Whirl, MarshMello, Candy-cane, Rubber-Gumdrop, Sugar-flake, GingerBread and Bubble-Love! There are some names! I Love you! Hi Santa!My favorite Christmas Elf Name would be Jing-A-Ling! It is so cute! I have an elf on the shelf you gave me! I named it Snowball! Love you! SANTA I LOVE YOU.you are the greatest person ever in histery. I like the name Holly Plum. If there was some more voting, I would choose Merry Belle for the girl, and Jingles JR for the boy. Aren’t those the cutest names ever! how are the reindeer and the one and only Mrs.and Mr.Claus. I can’t wait to see the baby elf’s names! u rock u can deleiver millions present in 1 hole night! !thats pretty cool . I love the work you do to make kids all over the world happy!! I have some rlly cute names for th baibe elvz. gyrl- pom-pom, lucie, elvea, sugarplum smile, bauble belle, jingle jessicca, jolly jinx, elfy ella, alana,glittergloss, moonshimmer, lillien, jaide,rainbow glitter, ribbontwirl, mistletoe, or little lulu jingles. boy- junior, jingle, or jinx. I cant wait till tomorrow morning! I wish you all the best with the baby elves. you are my hero santa claus!!!!!!!!! your website is so cool just like you snata claus merry christmas and a happy new year!!!!!!!!!!!! Heyy Santa my sister Taylor and I were just wondering if Twitterbug was an option because you or mother elf are always twittering?! HAHAHAHA! santa you are awesome!!!!!!! i would name the girl merry belle cause that is very merry! Hi Santa I really liked the names first for a girl hot cocoa! and for a boy egg nog!!! so that is my vote! I love you santa!! BYE BYE!!!!!!! put a spell on me to stay asleep all night. i loved the name rainbow sparkles it cheers me up well all those girl names was too good and i didn’t know witch one to pick [vote], i meant. I hope you find the perfect name for the elves. Can you put a picture of them on the website? I would name the baby elf Holly Plum because I think that name is verey cute and cuddly!!! p.s. You are the nicest man on earth!!! I am so excited about christmas this year even though I am eleven years old!!! I would name it Carol, like a Christmas carol. Thanks for all you do Santa. You are so nice. hi Santa i just discovered your website it is really cool! just like you! my 2 brothers eli and damon are nice and naughty sometimes they are good and bad but on xmas day they are good! Our elves are 135 years old!I like my elf a lot,lot,lot. Dear Santa i love you so much i carnt beleive that the Elves have that many babies at a time its so amazing that that thay have so nuch babbies !!!!!!!!!! i have a boy elf on the shelf and when i looked at him he looked like a buddygumdrops.and i like cocoa so i picked cocoa cuddles. Dear Santa,I love it when you write blogs because it like your telling in person but on the computer .Also last year when i went to my friend’s house ,Jonna Hanner, you droped your card and i got to see how you look like. I hope you got it back. All the names are really cute, it was so hard to decide! “Rainbow Sparkles” is a really pretty name but I chose Cocoa Cuddles because I thought it was funny and cute.I chose Jingle Jr. for the boy I think…I forget. I think the baby elves are sooo cute. I would love to be able to see them. I would love to be your helper so I could look after the baby elves. i like the names jinge jr and twitter bug! I’m sure the baby elves are cute. Can you draw a picture of them without themfreezing? I did send an email and I did ask for a wii and a china doll and my Mum has just said that I am probably getting a wii from her and getting a china doll from my auntie. Hope you have a great christmas. we want to see the baby elves laugh and giggle and toll and toot! can you please send me a baby elf? Wow! That is many elfs! Star, Tree, Bulb, Snow, Angel, Billy, Enzo, Maggie, Wreath, Bow, Tinsel, Moose. I think these names are really great for the new baby elves! all the names are xtra cute, i wish i was called merry belle. i’m an elf if you want to know why i have a weird name. i can tell you that all the baby elves are really cute. MERRY CHRISTMAS!!! I like Merry Belle the best! It is so plesent. Merry Belle wins and Jing-a-Ling. take picture’s.Rainbow Sparkles is a great name! Tell Peppermint Sparkles I like her name allot! P.S. some of my friends believe in you! Thank you for sending us a baby elf again. we enjoy his company. He goes crazy for peppermints.Could you please tell us his name because we keep calling him baby elf. spread Christmas cheer Even more by choosing elf names! names on the list are cute! I bet it’s hard work looking after 12 babies! i hope the girl is called rainbow sparkles because she sounds different, cute and funny! These are the 4 names I picked. I like all the names, but its too bad I can only choose two. I love thinking of cute names for babies. I hope Merry Belle wins for the girl name! I love it! Do you think Christmas comes faster when you get older because that is what is happening to me? ok do you know our elf Bernard who is watching over us?? can you send a picture of a baby elf? do they cry alot? thank you for writing me back from my first email!!!! most of my friends do believe in you!!! are the reindeer really magical? oh one more thing can you tell me when rudolphs birthday is please!! Santa I really want Christmas to be here.I really cant wait so thats why I talk alot about you.You make christmas fun to sneak into the house at night.Please try to get me night vison goggles for christmas love Justin. I think they all are cool but I could only vote for these 2. I think they are all wonderful names!!!! but i can only choose two. i love all the names!!!! and today it was snowing have a safe flight. i think they are all cute!!!!!!!!!! THE NAMES I THINK WOULD BE GOOD,THERE’S 6 FOR GIRLS,AND 6 FOR BOYS!HOPE YOU LIKE! KRIS IS MY BROTHER/AGE 15,I’M 11! Merry Christams Santa! We are wishing you a safe flight and a wonderful day!!!!! i liked thoughs two names because i met an elf befor whos two kids were just about to dye and thoughs were there names! I would name the girl Sarah, Clara, Beth or Megan.You should name the boy Josh, Mike,Will or Logan.Bye and tell your baby’s I said Hi. Its supposed to snow tonight and Saturday, Sunday in Exeter.Is it always snowing in the North Pole ??? Santa it is very cold out side. I can`t wait to find out what the names will be!The names I voted for,Jingles.Jr and Merry Belles, are winning!I hope they win.Hope all`s good at the north pole! love all the names! very cute! hey santa i would like the new baby elf to be named candy lane for a boy and for a girl snow baby:) love you santa! please come to my house on Christmas! Hi santa i am at school right now, i just wanted to tell you that i love the name holly for one of the elves. Ps. i still beleive in you, no matter what people say!!!! i wish i had a elf doll and that is just soooo cool. your so lucky!!!!! I hope the baby elves come soon! good Luck taking care of the elves. I think that the elves are very cute and i wish i had an elf as a friend! I love the names u chose there cool.U should name 1 Holly Plum its a cute name. I luvvvv all of the names but I had to go with twitterbug and buddy gumdrops! I’m sooooooo excited for christmas! Bye santa!!! dear santa iam already done writing my christmas list to you! this year iam thinking about leving you a little gift i sure hope you like it i did what you said and i came to this site my family said it was ok if i get a puppy i will love and care for it please think about i reay want it! well i have to go take a bath have a merry Christmas! YOU SHOULD NAME ONE SANTA CLAUS! It is very fun to vote the names for the baby elves. It is also very funny on how they reacted! Thank you afor the answer of my letter,have a merry Christmas and Happy New Year. I think the babies name should be….happy??? HEY! I dont like bionicals! I didn’t know that there was already 12 baby elves at the orth Pole! But i think Peppermint Sparkles should name the baby what means the most to her! I love you and the baby elves. I also love mrs.claus and all of the rest of the baby elves. I love all of the reindeers and hope they have a great christmas,too. sup. i think if u name the girl twitterbug, she will luvvvv gossip!!! How long do you think it will take you to get a picture of a baby elf? Hey Santa! I really want you to name one of the boy elves Cinnomen and one of the girls Ginger. I hope to see them on Prep AND Landing soon. I choose Resa because it’s a beautiful name for a baby elf. Hi Santa Claus,I liked naming the baby elves.I have picked the two top names. why are you not on facebokk:(??? IT’S AWESOME I LOVE IT !!!!!! I really hope you name the boy elf Jing-A-Ling. I don’t care what you name the girl elf. I like the name Jing-A-Ling because that is what I used to call my fat cat. It would mean a lot to me if you named the boy Jing-A-Ling. Thank you, Ariel. The elves sound so sweet and cute! Bethany is just like me it is her first time voting i am wondering if i’m on the naghty or nice list. hello santa claus i actually voted!! I will not be hand writing you a letter this year because my parents think I am too old. I’m not! I will not be writting a wish list this year either because I already have everything I need and it would be selfish to ask for anything more. You probely won’t remenber me but I met you once in Boston America. I know it was you because you wore a red velvet suit with gold buttons and soft white trim. It wasn’t a cheap suit like the pretend sant’s wear. All I want for christmas this year is for all my friends to believe in you again. Me and Kathryn are the only ones left in our class. Anyway I have to go because I am home alone and my dog Jazz is barking because she wants to go outside. Hope you have a wounderful Christmas and that you get everything on your wish list. They must be sooo cute. PLEASE can you take a photo of them and put it on the website, I really hope that we get to see a photo of them! P.S: Can’t believe it’s 11 Days till Xmas.